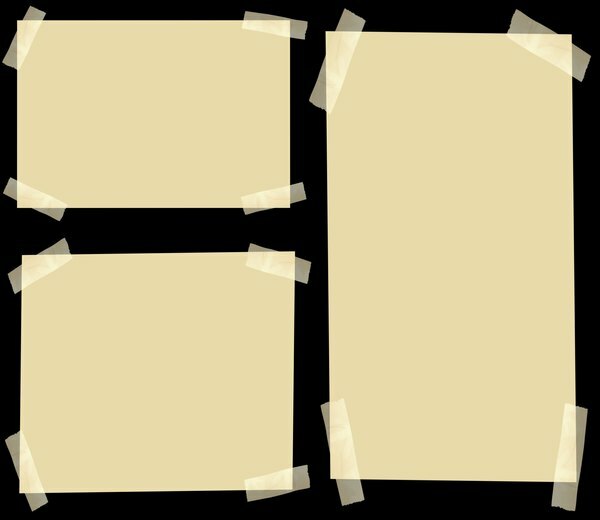 A collage of taped pieces of paper against a black background. I love these frames!! I was trying to figure out how to get this look, and I found you had already done exactly what I had in mind. Thanks so much! !